A special princess deserves a special frozen wand. 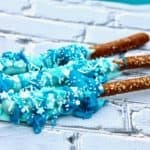 These chocolate covered pretzel rods are exactly what you need for a special Frozen or Frozen 2 birthday party or even a great treat for a school bake sale. They are so easy to make and they look so pretty! These would look spectacular in a mason jar on a girls birthday table. 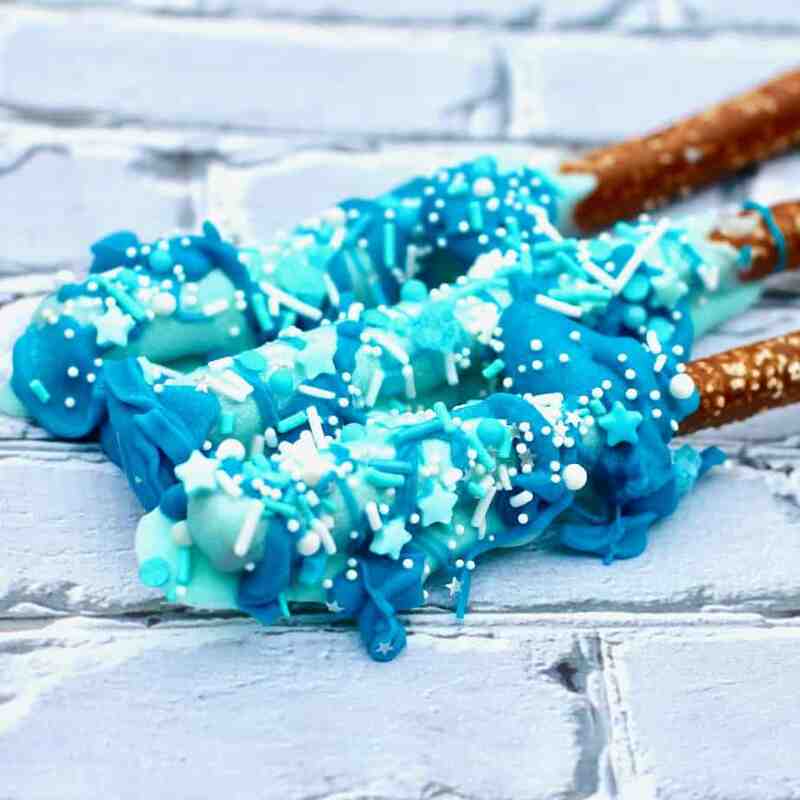 Dip the pretzel rod sticks into the light blue melted chocolate, turning to ensure coverage. Drip the dark blue melted chocolate over the blue chocolate. Place on wax paper and decorate with sprinkles. These are so pretty and can be altered depending on what your colors of your party are. I love using the blue and white assorted sprinkles. I think it gives the frozen inspired princess wand – like Elsa, a beautiful finish and a nice contrast to the pastel winter ice. 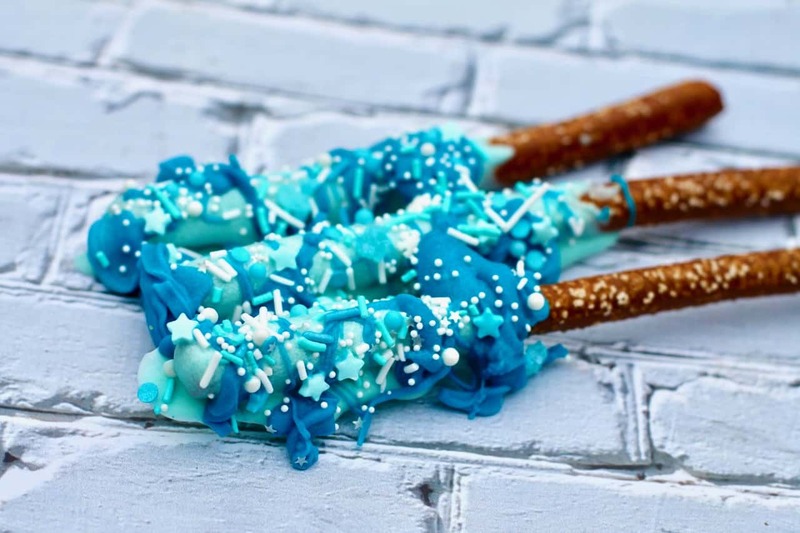 These chocolate dipped “Frozen Wands” would also work for a winter, Frozen 2, snowman, polar bear or any winter themed party. These would also look and taste fantastic for a bake sale. I would wrap 2 chocolate pretzels in a cellophane bag and tie with a ribbon and a tag. 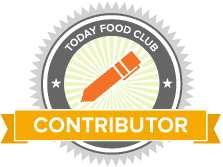 These chocolate covered pretzels make a great addition to any dessert table or centerpiece for a party and really they are so easy to make and are not time consuming. I keep the finished pretzels refrigerated until party time just so they do not melt and make messy hands.